Richard Arkwright will probably be most familiar for his contribution to the Industrial Revolution, to factory working, and for his invention of the water-powered cotton machinery through which he made his fortune. One obituary notice said: No one has had greater influence and indeed revolutionized industry than Sir Richard Arkwright. At 59 years of age, Arkwright died one of the richest men in England. Yet who was Richard Arkwright? Even he did not know. When asked about his ancestry he was evasive, and Burke's Peerage was only supplied with a pedigree going back as far as Sir Richard himself. Massive page full of photos and interesting Arkwright Pedigree to be found here. As is so often the case, the official biographies do not present the man "warts and all". There is also some doubt about Richard Arkwright's family origins. He was certainly born in Preston, Lancashire, on 23 December 1732, and his father was Thomas Arkwright, a tailor of that town. What is never mentioned is that his father seems to have married more than once and also produced children by women other than Richard's mother, who is variously stated to be either Sarah, Ellen Hodgkinson or Elizabeth Caldwell. Perhaps this is why some biographies say that Richard's siblings were thirteen and others eight. The story that Richard Arkwright was the youngest of 13 children first appeared in Dugald Bannatyne's account in the Encyclopaedia Britannica of 1816. I have never found a record of a mother to Richard Arkwright called Sarah. In the Marriage Bonds of Archdeaconry of Cheshire, 1715-1719 (Marton Marriages. Addenda Et Corrigenda. (Marriage)) it is recorded "29 Aug (no year) Thomas Arkwright of Preston, co. Lanc., and Ellen Hodgekinson of Preston, spr." The year was presumably after 1716 and before 1719. It appears then that the first marriage ended quite quickly. Again (given that Richard was supposed to have been the youngest son) this is many years before his birth in 1732. The births of all the children to his father Thomas and Ellen Hodgekinson are supplied by one researcher as between 1718 and 1736. Yet in another source which lists only a "family of seven" (two sons and five daughters) the first son William was born in 1725. The book about the Arkwrights by R. S. Fitton (The Arkwright's, Spinners of Fortune") attempts to fill in some of the gaps, but does so imperfectly. This says that Arkwrights had lived in the same area of Lancashire for centuries and by the 15th century the John Arkwright who lived at Broughton, four miles north of Preston, owned land and property there. By the 17th century the greatest number of Arkwrights were to be found at Broughton but also others nearby. However, due to an outbreak of bubonic plague Preston was badly depopulated and it seems the Arkwrights either moved out or died out. It's not possible to know, therefore, if the Thomas Arkewright - Sir Richard's great-grandfather - listed in the Guild Rolls of 1662 with sons William, Henry and George was descended from the family before-mentioned. He was certainly living in Preston when his eldest son William was born in November 1647. He was then called a "foreigner" in the documents of the time and "he keepth an alehouse". His second son John was born in 1655 and died shortly after, when the family was in Friargate. There were other children: Jennett (1657) Henry and George (1662). This Thomas died on 18th November 1691. 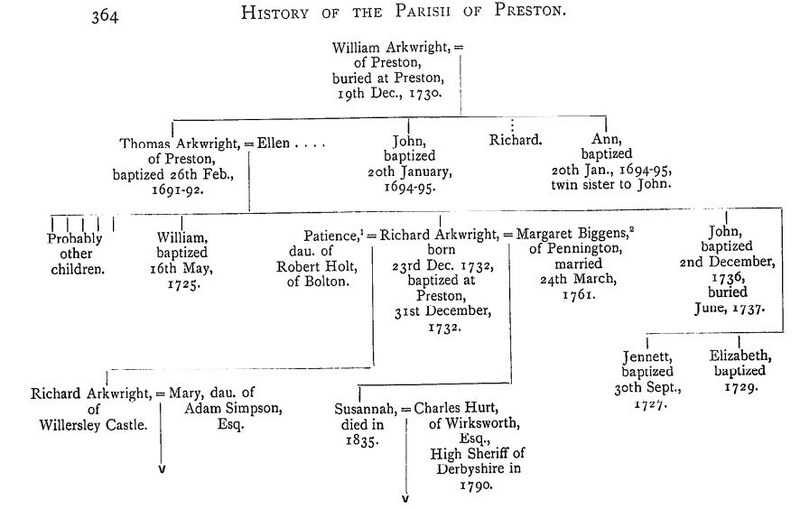 William Arkwright, son of the above Thomas, was a husbandman and saddler and had four children that survived to adulthood: the eldest, Mary (1686) married Thomas Anderton a shoemaker of Preston. We can construct a family tree from the facts given in this book. Before doing so, here is another version, from the book "The History of the Parish of Preston". 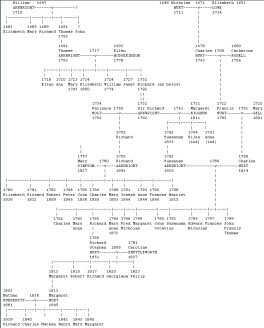 There is a useful Arkwright Pedigree on this page that concerns the son Richard "of Willersley Castle". I have also seen evidence for a child (William) fathered by Sir Richard himself with an Ada Hodgkinson in 1777 while Margaret Biggens his second wife was still alive, although they had separated by this time. (It seems Richard Arkwright was not an easy man to live with.) The fact that the name of his mistress is the same as the maiden name of his mother suggests there is some kind of family connection. Arkwright, the youngest of thirteen children, was born in 1732 in P reston, Lancashire, England. His parents, Sarah and Thomas, were very poor and could not afford to send him to school and instead arranged for him to be taught to read and write by his cousin Ellen. Thomas Arkwright was a tailor in Preston. Richard, however, was apprenticed to a Mr. Nicholson, a barber at nearby Kirkham. Richard, therefore, began his working life as a barber and wig-maker, setting up a shop at Churchgate in Bolton in the early 1750s. It was here that he invented a waterproof dye for use on the in fashion 'periwinkles' (wigs) of the time, the income from which later facilitated his financing of prototype cotton machinery.Arkwrigh t married his first wife, Patience Holt, in 1755. They had a son, Richard Arkwright Junior, who was born the same year. In 1756, Patience died of unspecified causes. 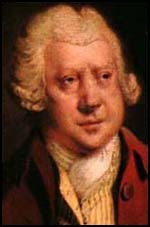 Arkwright later married Margaret Biggins in 1761. They had three children, of whom only Susanna survived to adulthood. It was only after the death of his first wife that he became an entrepreneur. Arkwright also had a mistress; her surname was 'Hodgkinson', but her first name is unknown. It has been suggested to be 'Ada', as this is the name of the woman who features in Margaret Arkwright's novel Cotton Arkwright. Arkwright and Hodgkinson had an illegitimate son named 'William', and descendants of the Arkwright-Hodgkinson family still exist today. I have seen correspondence dated in 1962 written to the grandson of William Hodgkinsdon/Arkwright by genealogical researchers, stating that his grandfather was indeed the product of Sir Richard Arkwright and a woman surnamed Hodgkinson. William Hodgkinson who married Ann Pidock at Darley Dale, Derbyshire was born 1 Oct 1775 and his christening much later in 1786 reads "bbs (base-born son) of (-) Hodgkinson and avowedly Mr Arkwright." This child William, the daughter of Miss Hodgkinson, is not mentioned in any of the biographical material contained in our library nor is the child mentioned in his fgather's will. It is notalbe however that the child William who went by both surnames (Arkwright and Hodgkinson) left a will in which he disposes of considerable property. It therefore appears that his father did not neglect him, but provided for him substantially. 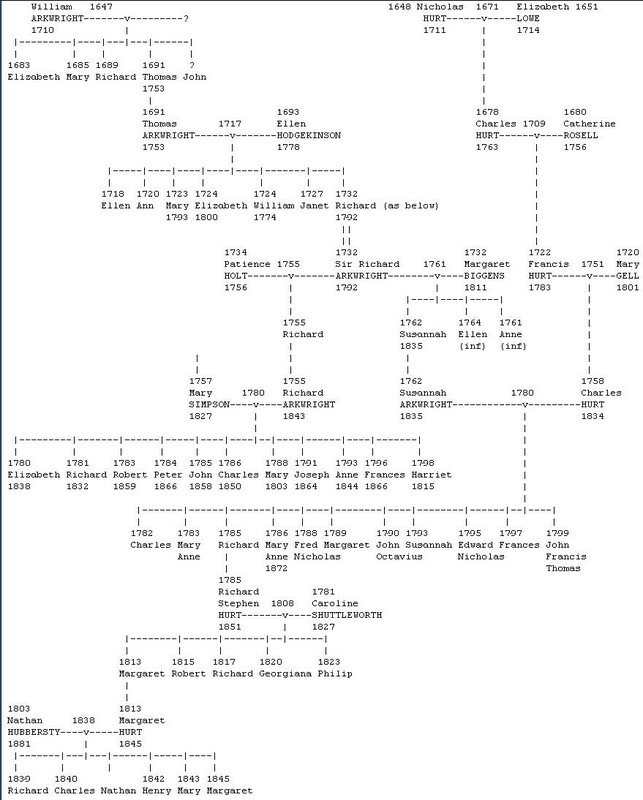 This image (please click for full size) is of the links between the ARKWRIGHT and HURT families, and it gives brief details that confirm the other family trees on this page. "Arkwright and Masson Mill plus much more on this excellent website.